In our recent pieces, we have consistently advocated that young people should take charge of their country’s destinies. Young people need to forge the discussions and policies that will lead to positive change in Africa. Additionally we should not retreat from platforms that offer the chance to frame our suggestions to policy leaders and refine our ideas among ourselves. By networking and harnessing our ideas together, we will birth the movements that will eventually deliver the Africa we seek. This piece therefore celebrates the idea behind the upcoming African Youth Gala (AYG), as it seeks to achieve all these and more. The team behind the African Youth Gala are young people of African heritage, presently residing in the UK. For nation and continent building, all hands must be on deck, both those at home and those abroad. In my analysis, these ones (the team behind AYG) never left home; for their hearts remained and are valiantly fighting for the restructuring process of our country. The organisers have observed the trends in the continent – McKinsey and Co recently stating that Africa is home to some of the fastest growing economies in the world. However, like CreativityTurf, the AYG team have noticed that, the youth need to guard our fledgling growth. For this reason, events such as the African Youth Gala, which advance the contribution of the youth, are enthusiastically supported by us at the creativity turf. I first learned about the AYG from a friend, Ife Ade Tokan. Ife is one of the vanguards in the AYG’s organising team. 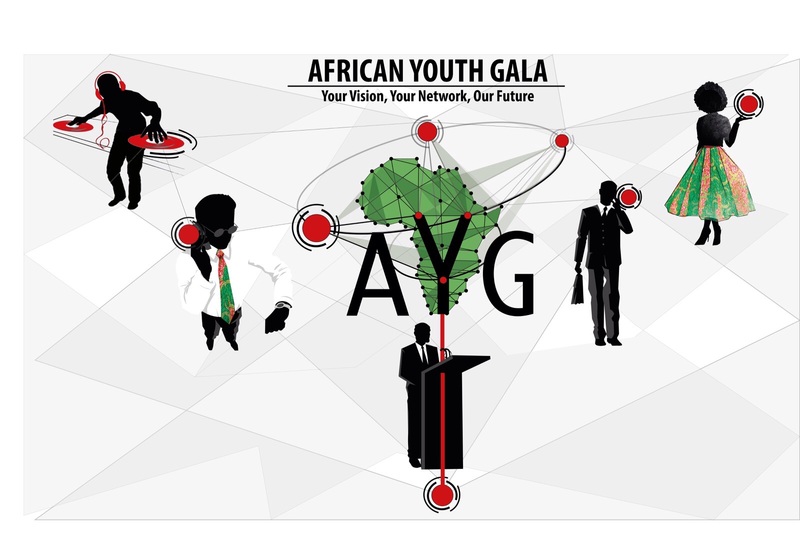 At the time, he explained that AYG will be an exclusive networking event for African youths in the United Kingdom. I was enthralled by his explanation because of the potential to assist African youths in their development – by networking with mentors and other driven, passionate youths. The results of such networks will be immense as they would incubate and effectively advance the ideas of these ones, thereby safeguarding Africa’s socio-political and economic rise. Additionally, it provides a platform for us to contribute in solving the issues facing African youths- both at home and abroad. I am doubly pleased that this is no longer a pipe dream. 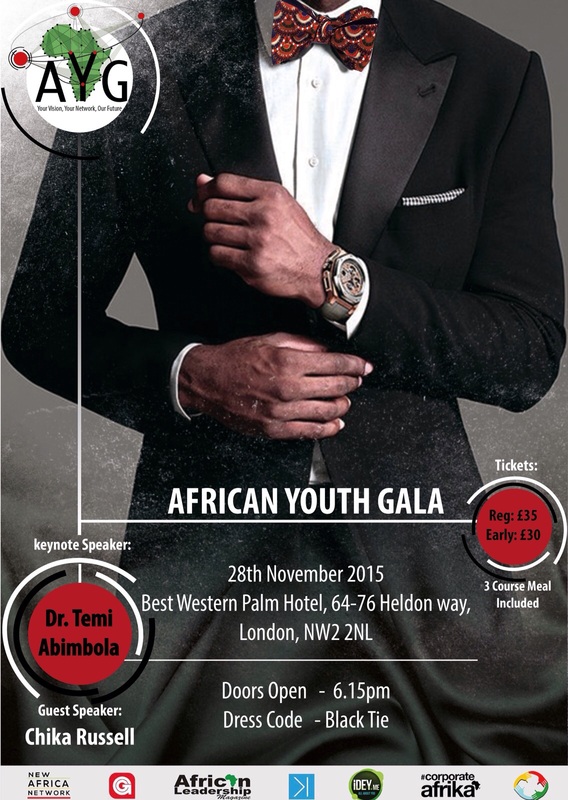 The inaugural edition of the African Youth Gala will be taking place on the 28th of November 2015, at the Best Western Hotel, Pall Mall in London. It is essential that in our desire to advance a youth-friendly agenda, we learn from the mistakes and best practices of the preceding generation. The AYG have inculcated this view and, two keynote speakers will be in attendance. Dr Temi Abimbola is one of the keynote speakers. She is the lead advisor to the Vice President of the African development bank. She also serves as a committee member for the African Investment Summit, under the chairmanship of former Nigerian President, Olusegun Obasanjo. Dr Temi will be on hand to offer key insights regarding youth engagement as well as a high level view from the field. Also, Chika Russell will be a keynote speaker. Chika embodies the view that African ideas are good enough and even necessary for the international market. Chika’s company, Chika foods, have been able to break into the European market, with her snacks being sold in European retail heavyweights such as Waitrose and Selfridges. I will enjoin as many who can attend the Gala to do so. Even more than attending, this piece is a clarion call that there is no longer an excuse for the youth. We must begin to define our engagement with our countries, and with Africa. So, to the AYG team: Kudos is in order – kudos for taking these steps and consistently striving to inspire a generation.